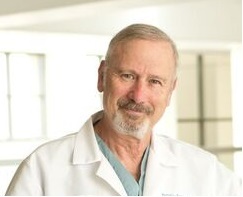 Dr. Eisenberg was co-recruited by Hoag and USC Keck School of Medicine in 2013 as the Executive Medical Director over Hoag Family Cancer Institute. He is a full faculty member in the Department of Surgery at Keck, and spends his time at Hoag Family Cancer Institute, with his main office located at the Newport Beach campus, within the Patty & George Hoag Cancer Center. Dr. Eisenberg is responsible for the strategic planning and partnership between Hoag and USC, continuing the development of a world-class cancer program for the community extending throughout Orange County. Dr. Eisenberg brings a diverse background from nationally acclaimed cancer centers that bridge the patient care continuum between academic cancer centers and community-based cancer programs. He comes to us from Norris Cotton Cancer Center at Dartmouth-Hitchcock Medical Center, where he held the role of Deputy Director, and he was a Professor of Surgery in Surgical Oncology at Dartmouth Medical School. Before Dartmouth, Dr. Eisenberg was a Professor of Surgery and Chief of Surgical Oncology at Temple University School of Medicine. He completed his fellowship in surgical oncology at Memorial Sloan-Kettering Cancer Center in New York, and his residency in surgical oncology at M.D. Anderson Hospital in Houston.